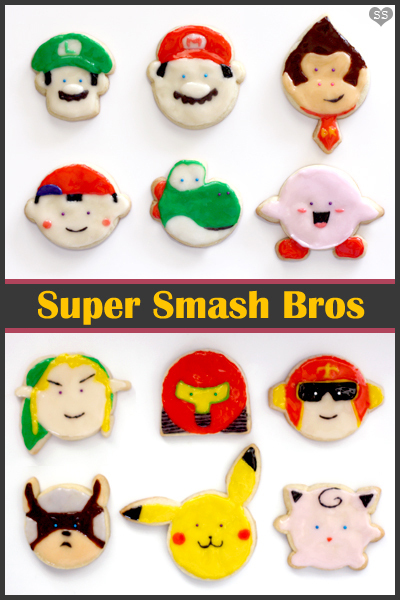 Diamonds for Dessert: Super Smash Bros!!! Basically for each character, I started out with a circle for the face. 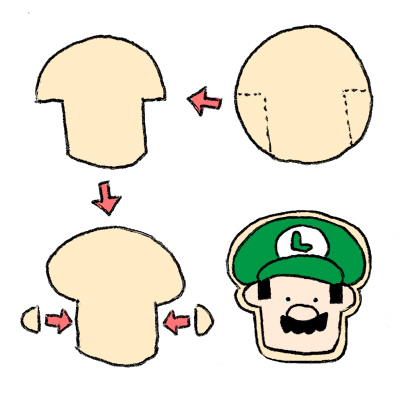 To make the characters unique, I just added on other parts to the dough or altered that circle before baking. And as usual, I made most of the character ears by cutting out little circles with a pearl milk tea straw and cutting the circles in half. 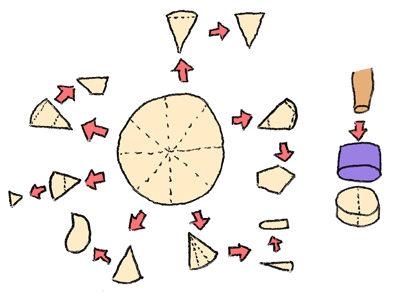 The circle divided in eighths above shows how to make the different character parts from 1/8 of a circle by cutting the parts differently with a knife. 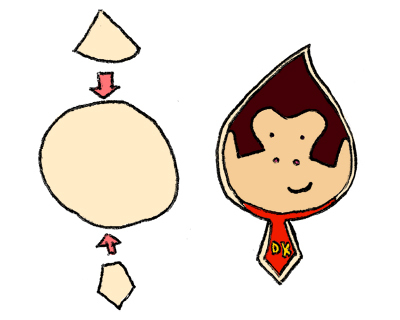 For example, Donkey Kong's tie was made by trimming the top corner and the two bottom edges of 1/8 of a circle. 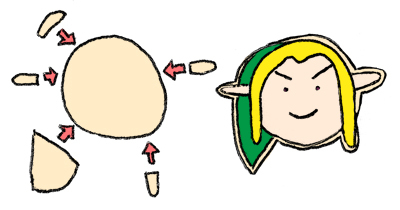 Link's ears and hair were made by rounding the point of a third of that 1/8 of a circle. 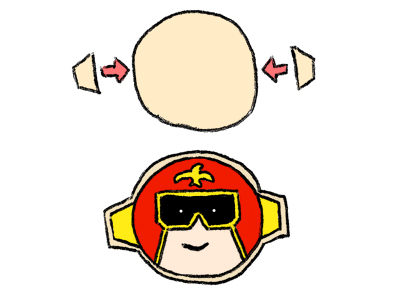 This time there were way too many characters for me to draw out my usual how to decorate step-by-step pictures. 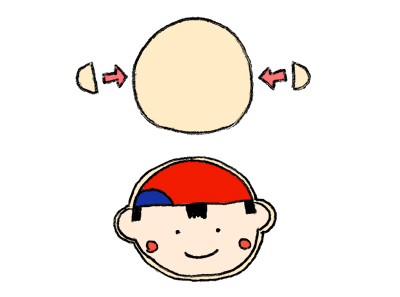 Instead, here for each character, I have a pre-baking illustration that shows how the dough should be cut and pieced together to make the cookie's shape and a post-baking illustration of the fully iced cookie. Under the titles, I have a list of the order the characters should be iced and decorated (assume that you wait for that layer of icing to dry before moving on the the next step in the list). Let me know if you need any clarifications! This post is just jam-packed with cuteness. 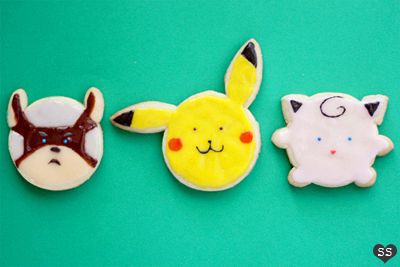 The cookies are adorable. 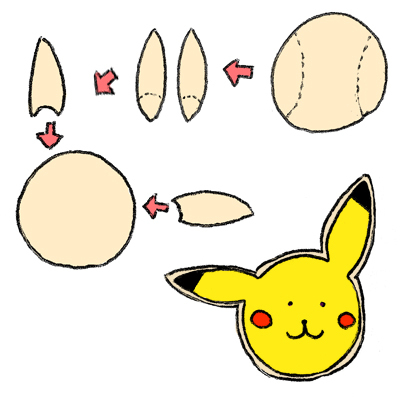 The tutorial drawings are adorable. You're killing me here. I have always wanted my own pet Yoshi. Adorable! I really shouldn't show my boyfriend this post because he'll demand some of his own, but I can't help it! I have to run down the hall right now, screaming "LOOK AT THESE!!" Steph: Thanks! 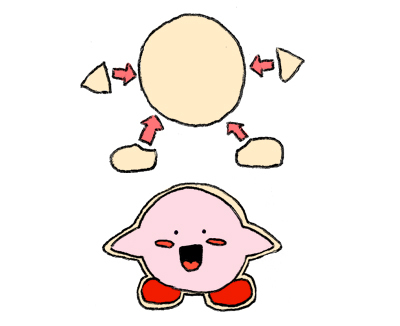 Haha, Kirby is cute :). Ali: Thank you. 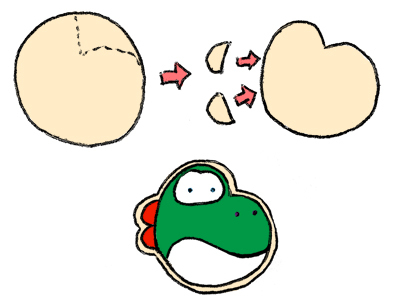 Yoshi is pretty awesome; a pet Yoshi would be cool! Danae: Haha, that's hilarious. 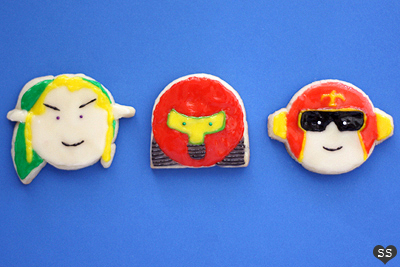 People who like video games definitely seem to like these cookies. yuns: Thank you. 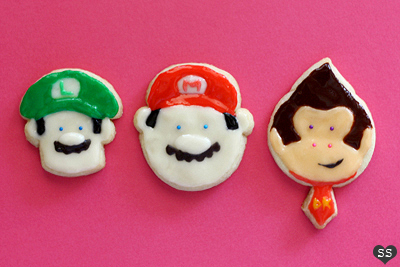 Ooh, I hope you do try them out :D.
This is precious! I wish I would have read your post sooner so that I could make it for my nephew's birthday. He is obsessed with Super Mario. Trissa: Thanks! Aww, I wish you did too. One question though: I'm a complete novice when it comes to baking, and I may have missed you saying it somewhere else, but how do you get the icing on so smoothly? Is it just the icing use, or do you have a specific method? Altara: Yay, I hope you try them out. About the icing, the icing recipe that I've been using goes on pretty smoothly, but when you first try it out, I suggest that you practice first on a few extra cookies, just to figure out what's the best consistency for the icing. If it's too liquidy and spreads too much, just add more powdered sugar. If it's too stiff, add more corn syrup or milk. But definitely let me know if you need any clarifications or have any questions. Anonymous: Haha, thank you! I wish I knew, j/k :P.
Anonymous: Thank you! I just use spoons and toothpicks to frost my cookies. Two key points to getting nicely frosted cookies are: 1) your icing has to be at the right consistency so that it doesn't have little peaks (this will take practice to figure out what is "right") and 2) make sure to wait for each color to dry before adding another color of icing so that they don't mix. 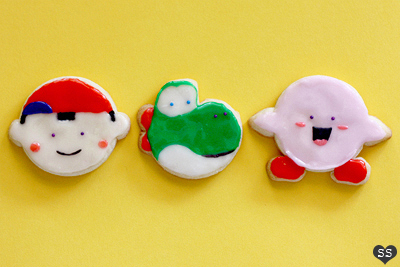 I'm thinking about doing a sugar cookie tutorial as part of my planned Baking 101 Series, so look forward to that sometime in June or July :).